2 Bedroom Terraced House For Sale in Croydon for £425,000. 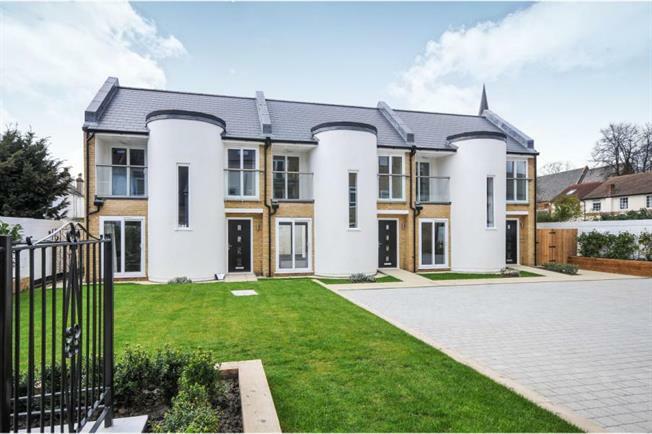 A stunning Two Bedroom terraced mews house situated in a brand new gated development in Croydon within easy reach of West Corydon station and High Street. The property comprises lounge/dining and fully modern fitted kitchen with integrated appliances, downstairs cloak room and access to a small private rear garden. A spiral staircase leads you upstairs where there are two bedrooms and stunning luxury bathroom. The master bedroom also benefits from a juliette balcony. Other benefits include gas central heating, wood flooring downstairs and carpeted bedrooms upstairs. Call our East Croydon office today on 020 8688 1161 to avoid missing out on this fabulous starter home. Help to buy available. Canmore Court is gated development of luxury apartments and house in Croydon and is approximately 0.7 miles from West Croydon Station and Croydon town centre. The development comprises a selection of one, two and three bedroom apartments some come with private terraces and balconies. There is a small terraced houses available located at the rear. The development is fully completed and ready for occupation and has been finished to a very high standard. Help to buy is available. Call Bairstow Eves Croydon Office on 020 8688 1161 to arrange your viewing appointment today.